If you’re not a parent of a child with autism spectrum disorder (ASD), chances are, you have at least one family member, friend, neighbor or other connection whose child has been diagnosed. It is not always easy for guardians to deal with the challenges associated with autism, nor is it easy to keep their own connections to the “outside” world during this process. So what happens when you learn your friend’s child was diagnosed with autism? How can you help someone you just met who has a child on the spectrum? 1. Accept them and their children…and make sure they know it. This is a seemingly simple, yet crucial step. Parenting a child with autism can often be lonely, which is ironic since some of these parents may not get much time to themselves. It may not be out of malice, but friends and family members sometimes distance themselves because they don’t understand or know how to “handle” the diagnosis. Other times the parent may be so busy between therapy appointments and other caregiving duties that he or she doesn’t have time to foster relationships in the same way. Whatever the reason, let them know you are there for their family, and then actually be there without judgement. 2. Be part of their support system. This role can be as big or little as you and the parent would like it to be. Check in on them by phone from time to time. Bring over coffee or lunch if they can’t make it out of the house. You can even accompany your friend to a support group meeting or a therapy center tour, if they need. If you and the child are already comfortable with each other, offering to provide some brief respite to the parent so they can get in a workout, haircut or nap can be invaluable. Understand that some parents want to talk about autism and others do not, but all parents want to know others care about their children. How do you approach this? Ask about the kiddo in general. If he or she brings up ASD, show interest and ask what the child has been up to, the new things he or she is doing in therapy, or how the parent is managing. If you’re not sure how to support a parent, start simply by listening. Many times, it’s the most powerful thing you can do, and it’s great for everyone from close family members to casual acquaintances. It will help them manage their own feelings, both positive and negative. It’s ok if you don’t always know what to say. Sometimes it’s good to tell them exactly that and offer to lend an ear when they need. Be open to learning. This does not mean you need to become an expert, rattle off stats nor recite every piece of news you read about autism. A basic understanding is fine, especially since the way the diagnosis affects each individual is a spectrum. The Hopebridge “What is Autism?” page is a good place to start, and Autism Speaks also has some great “toolkits” for family members to learn more. If this parent is open to discussing the disorder, feel free to ask questions about how it relates to his or her child and if there is anything you should know in order to be a better friend or support to either of them. Most importantly, make sure your newfound knowledge does not lead you to make assumptions nor offer unsolicited advice. 5. If you have children, teach them too. Again, start with the basics. Talk to your kids in an open manner that is developmentally age appropriate. Focus on points that may help them become more inclusive and better interact with this child or others with ASD. For example, did the parent tell you the child is sensitive to being touched or hearing loud sounds or lights? Inform your own child to help limit uncomfortable situations. Within the discussions, let them know it’s ok to be different, encourage friendship and openness to learning. Involving the children is a great way to support autism parents. By supporting their child, you’re also supporting the parents. If you have children of your own, invite their child for playdates or parties. Be mindful the response may not always be “yes,” but don’t let that stop you from extending future invitations. Make it personal; ask how you can be inclusive of all abilities and better involve the child in the fun. 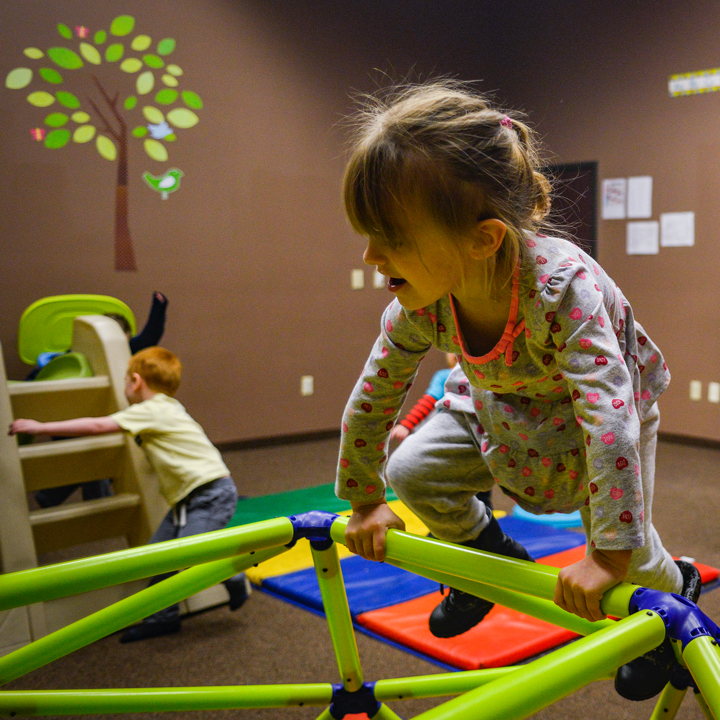 Keep in mind the playdate might be a little different than what your kids are used to, but it can still be fun and an opportunity to connect with new people. You may need to step in from time to time to help them communicate with each other. By backing the cause, you’re backing your friend. Whether you accompany the parents on their mission or get involved in your own way, becoming an advocate for autism awareness, education and funding is a great way to show your support. Some ways to join the cause include participating in a walk or fundraiser, contacting your local Autism Society, and talking to your local government about autism-related issues. 8. Understand that every person with ASD is different. All in all, every child touched by autism is different and so are their parents. Their needs and wishes are different, therefore the ways you can support them may also vary. When in doubt…ask! Have some advice we missed? Share your tips for supporting autism parents with us and other families on our Hopebridge Facebook page.